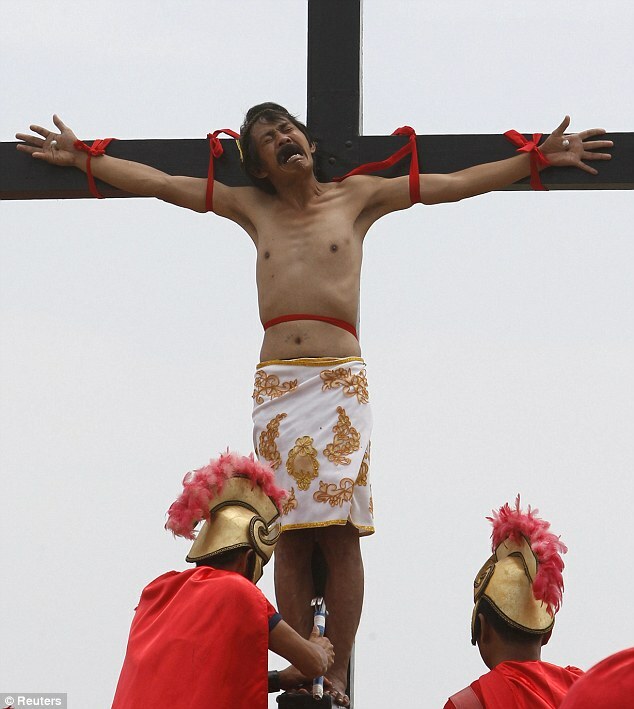 Christians were nailed to crosses in the Philippines today in a grim Good Friday reenactment of Jesus’s suffering. Thousands of people watched as 17 devoted Catholics were crucified in the gruesome annual ritual. Church leaders have condemned the practice which they believe are a distortion of the true Easter message. Nine men were crucified in Pampanga provinces San Pedro Cutud village today, while at least eight others were crucified in neighbouring villages. The annual event – which dates back to the 1950s – drew an estimated crowd of 10,000 worshippers.